Right now on Amazon, you can get some amazing deals on clothing shoes and accessories as part of their Memorial Day Sale. In addition, you can get an extra 20% off with code FUN20SUN. Shipping is free on orders of $35 or more, or get free shipping with Amazon Prime (get your free trial). 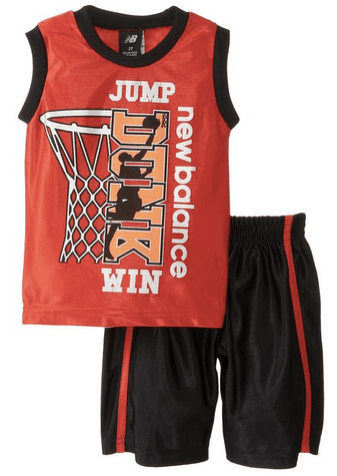 As I was browsing some of the clothing sets, I noticed the New Balance Little Boys’ Dazzle Muscle Basketball T-Shirt and Short Set is priced at $9.66. Use code FUN20SUN and the price drops to just $7.73. It’s available in sizes 2t – 4t. 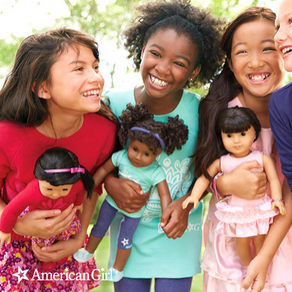 If your little on is into American Girl Dolls, you definitely want to check out this sale that is going on at Zulily. They have dolls, accessories, clothing and more at a discount. These items tend to sell out fast, so hurry if interested. Click here to shop. 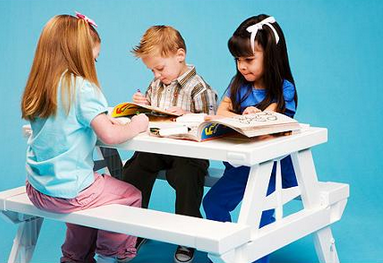 Walmart has this cute KidNic Children’s Picnic Table priced at $40.12. Choose free in store pickup or pay $4.97 for shipping. Can support up to 600 lbs. 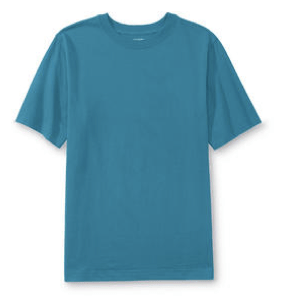 Sears has the Canyon River Blues Boy’s Crew Neck T-Shirt in your choice of 7 colors priced at $1.99. Choose free store pickup to avoid a shipping charge. Available in sizes S-XL. 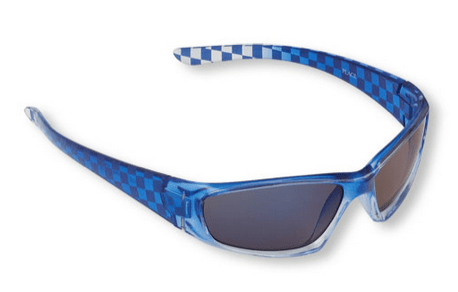 The Children’s Place is having a huge sale right now with deals starting at just $2, which includes the sunglasses for boys and girls. Use code SU15DM20FAF to get 20% off your order, bringing your price to $1.60. Shipping is free. Click here to shop. 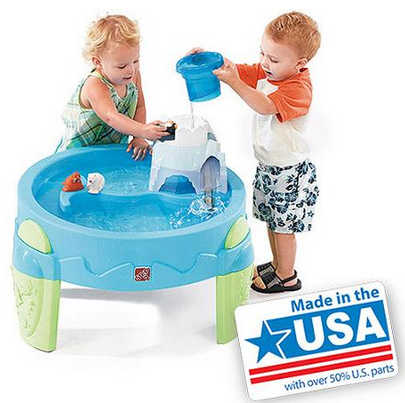 Walmart has the Step2 Arctic Splash Water Table priced at $28 right now (was $49.97). Choose free in store pickup to avoid a shipping fee. 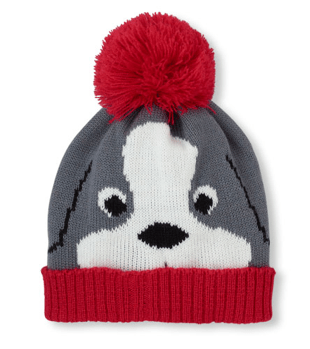 Or, if you’d prefer to shop through Target, they have it for $28.49 with free shipping. You can also use your Redcard to save 5%. Today only, The Children’s Place is offering 40% – 50% off their entire site and all orders qualify for free shipping (including clearance items). Click here to shop. 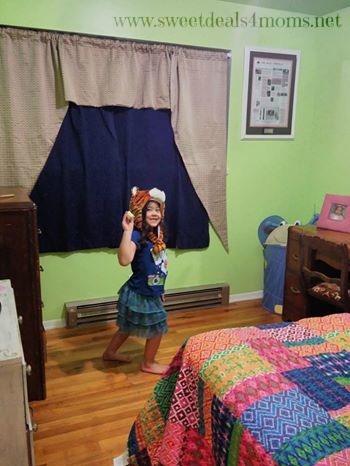 A kid’s bedroom can be a spectacular place for any child. Kids can create a space with their imagination that can take them from being a pirate one day to a movie star the next. Additionally, a kid’s room is where that child will grow and learn to be the adult they are meant to be someday. These things make the role of a child’s room very significant in their lives. Every parent wants to give their child the perfect space to grow and imagine in, but there are some obstacles that parents have to face. One of the biggest issues that parents have is finding the money they need to create the perfect bedroom for their kids. However, with a few trick and some new ideas, parents can create a perfect space with any budget. Here are some kids’ bedroom design ideas for parents working on a budget. Every kid’s room needs to serve two purposes apart from being a place to sleep: a place for them to study and do homework, and a place for them to play and have fun. Parents can give their kids both of these options by creating separate spaces in their rooms for each activity. Parents can have http://directtelevision.us/directv/ and toys in one area and a separated area for reading and studying. This is a great idea for kids who share a bedroom too. Kids do not care about the latest trends in furniture or having a separate night table and desk. Parents need to remember that there does not need to be a lot of extras in their kids’ rooms. Parents can use the less is more philosophy to make a room design that is simple and functional yet fun and lively. Kids love to create, so parents should let them do just that for their bedroom. Parents can hang all of the kid’s artwork on the walls as decoration and even give them a chalk wall to draw on as they please. Additionally, kids can help paint old furniture and sew together new sheet and pillows. These little touches will make a room special and help parents save a lot of money. Cleaning up is not a task that comes easily to most kids. Parents often have to hassle their kids to clean up their rooms at the end of every day. Parents can help make this process easier by creating some easy organization and storage options for the kids to use. This will make the cleanup process easier and faster for everyone. Every child will have their own share of interests. Parents should always support what their children are interested in and give them the tools they need to success in that passion. Parents can provide those things in their rooms. For example, a craft station for an artistic child or a map wall for someone interested in geography.